Great features offered with this unique property. 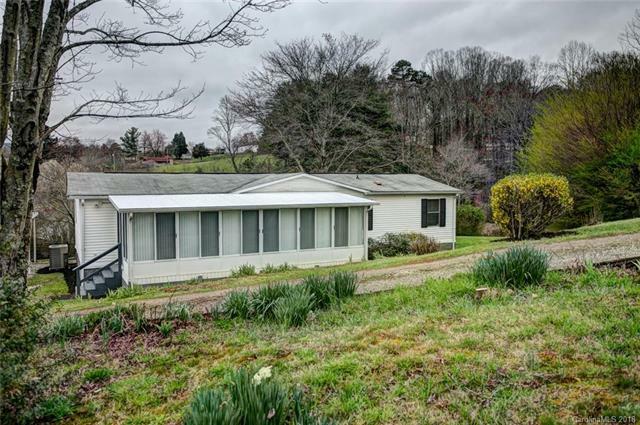 Recently updated and well maintained manufactured home. This three bedroom and two bath home has a split bedroom floor plan and brand new laminate hardwood floors and new carpet in the bedrooms and sunroom. A wood burning fireplace in the Den and a separate Living Room for entertaining. Fresh new paint throughout. Covered back porch with a view of the mountains and over an acre of land with two fenced in ponds with a large barn and space for gardening. Come see this wonderful property for yourself.